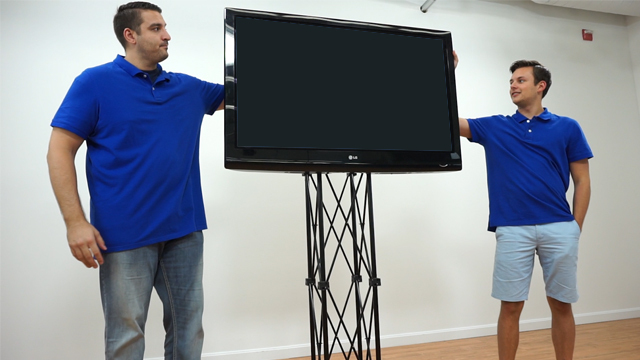 Cheap Monitor Stand for 50" Flat Screen Online! 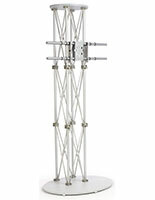 This Monitor Stand has a Knockdown Truss Design Ideal for Those Who Require Portability! 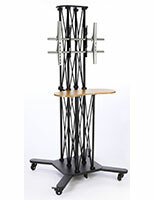 Order One Today and Mount 2 Flat Screen TVs! 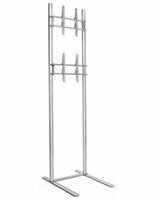 This monitor stand draws attention to your presentations! 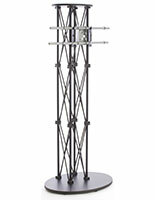 The floor plasma stand, monitor stand is just over 10-feet tall, making it a great addition to any trade show exhibit, convention center display or waiting area. 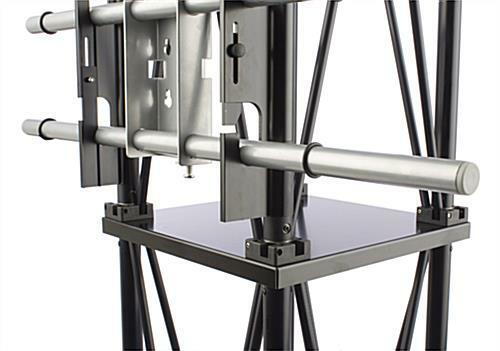 This extra tall monitor stand, also known as an flat panel for flat screen mount, is engineered with (2) built-in brackets for mounting (2) flat panel televisions simultaneously. 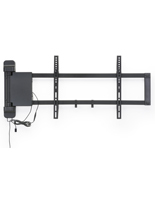 We even include the VESA LG brackets with this monitor stand, so you can mount your televisions either vertically or horizontally using the provided hardware. (Please review our diagrams for all display options.) 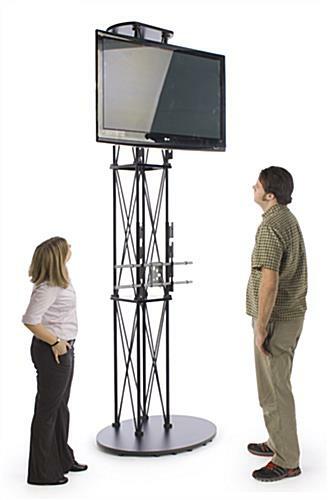 This extra tall monitor stand can hold televisions up to 60" in size, each weighing less than 80 pounds. 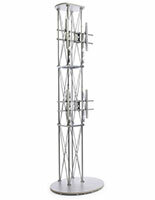 It supports a variety of television brands including NEC and Samsung. 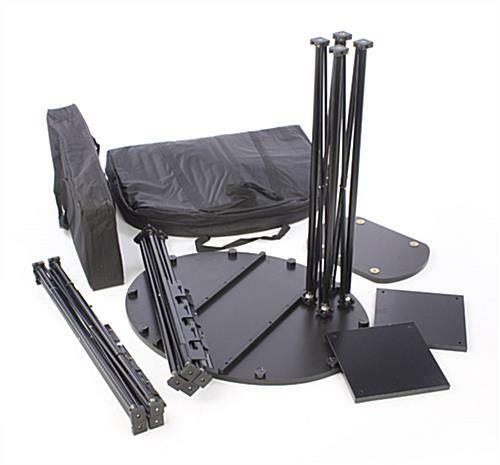 The wholesale monitor stand for 60" Flat Panel LCD TV bracket is portable! 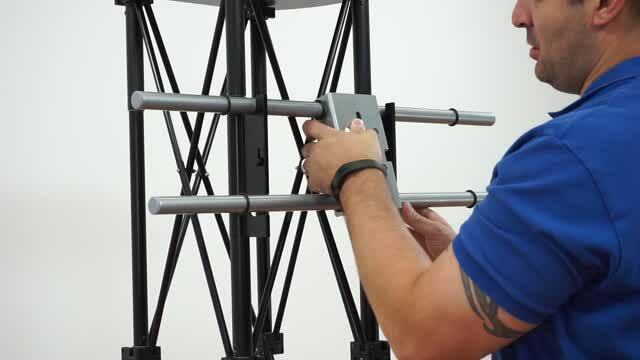 This monitor stand, flat panel television mount has an aluminum truss design that makes it easy to set up and take down. 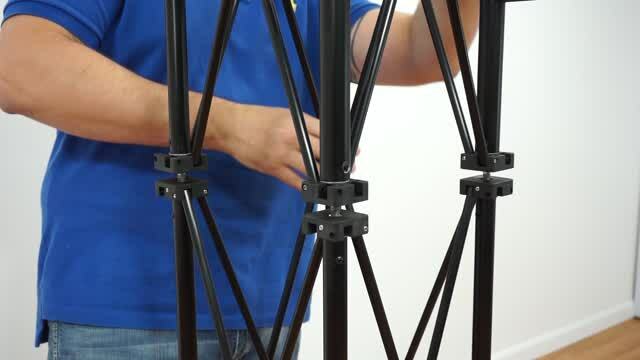 Each truss pole easily screws into the base, with no extra hardware needed. 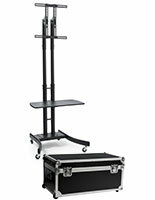 The extra tall plasma TV stand is even equipped with (2) carrying bags to keep each TV stand section safe yet together during transport. 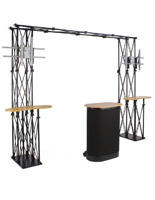 This monitor stand, such as a plasma TV stand or entertainment center, will showcase your advertising graphics or digital presentation at every trade show!